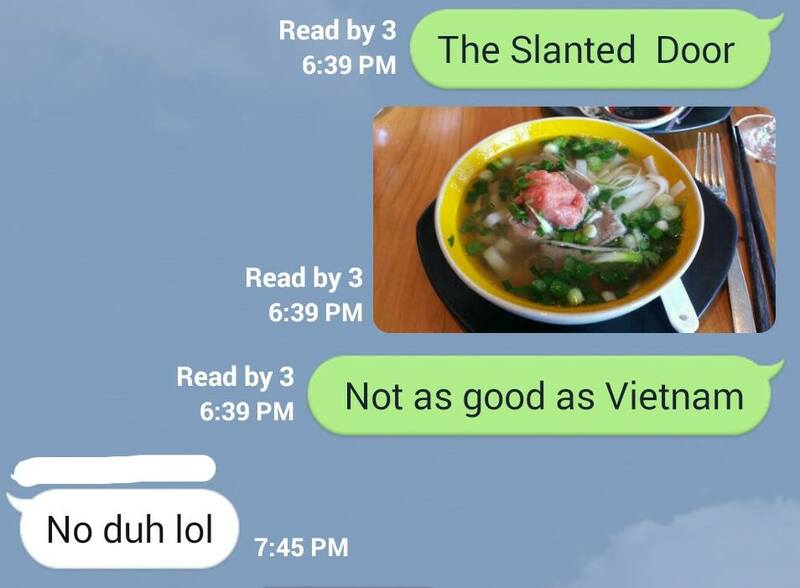 Don’t get me wrong, the restaurant, marketed as the modern Vietnamese cuisine, is both delightful and delicious. Situated on the pier, the beautiful restaurant offers a breathtaking view of the Bay Bridge and the water. Using fresh, local ingredients, these classic dishes boast nothing but explosive fresh flavors. Take a popular appetizer, the beef carpaccio, which serves thinly sliced raw beef dressed in lime juice, roasted peanut, and chopped coriander on toasted sesame rice cracker, surprised me with its layered flavor and texture. 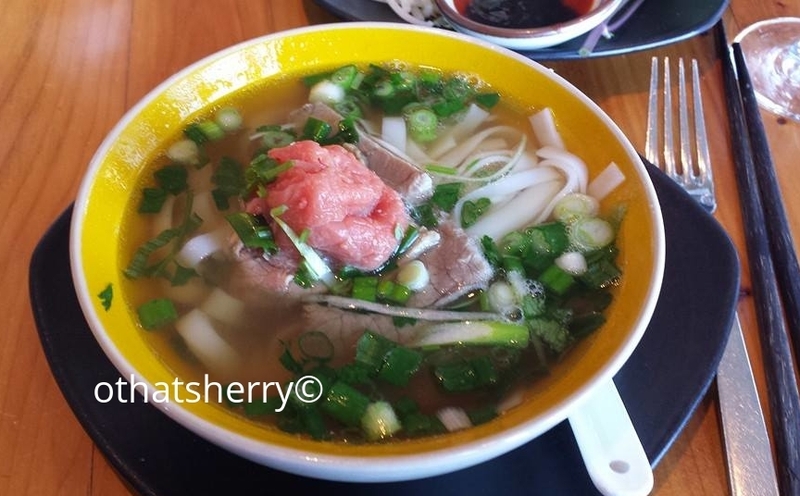 Let’s see, it was subtly tangy, salty, chewy, crunchy… Likewise, the pho was lovely (albeit, smaller portion and far more expensive than the one I had in Vietnam). Both dishes paired wonderfully with a delicate white. Beautiful setting, checked. Impeccable, friendly service, checked. Delicious food, checked. So why am I left unsatisfied? The thrill of wandering alone in a foreign city not knowing the language. The adventure of riding a motorcycle taxi. The irresistible sweet smell of the broth that drew me into the shop. The way that, after adding lemon juice, handfuls of basils and chili peppers, the transformed broth blossomed like spring on my palate.